Keukenhof, the best day out among the flowers! 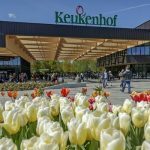 Keukenhof is open from 22 March until 13 May 2018. 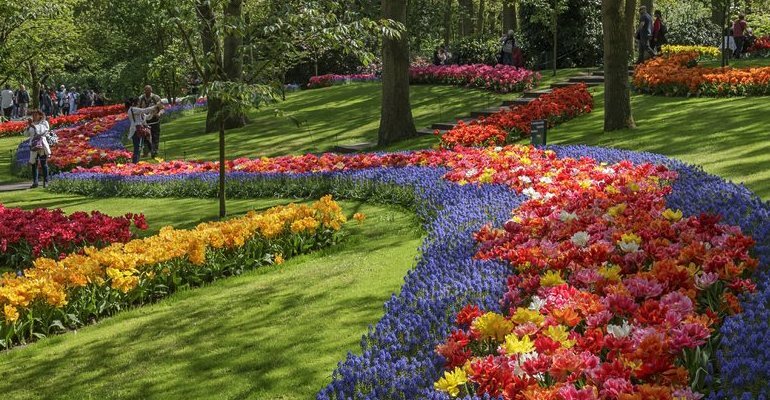 Keukenhof park has 32 hectares / 79 acres of tulips, hyacinths, daffodils, crocus & more. You can order your own bulbs here! 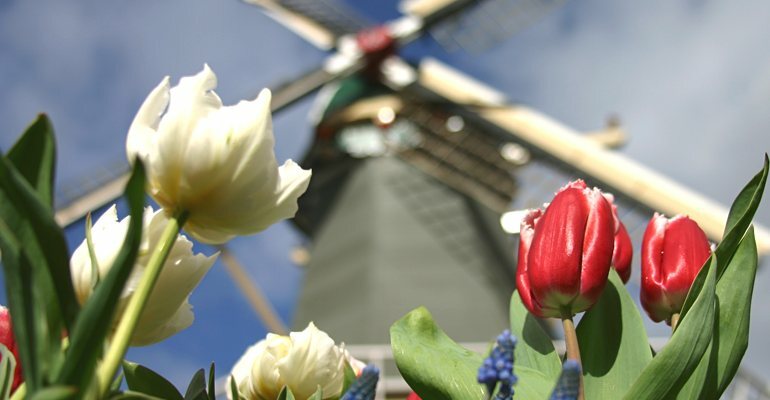 Visitors to Keukenhof Gardens can enjoy a great view of the tulip fields surrounding the park, from the Dutch Windmill. Aren't these double headed daffodils amazing? They already bloom early in springtime. Do like the Dutch do! 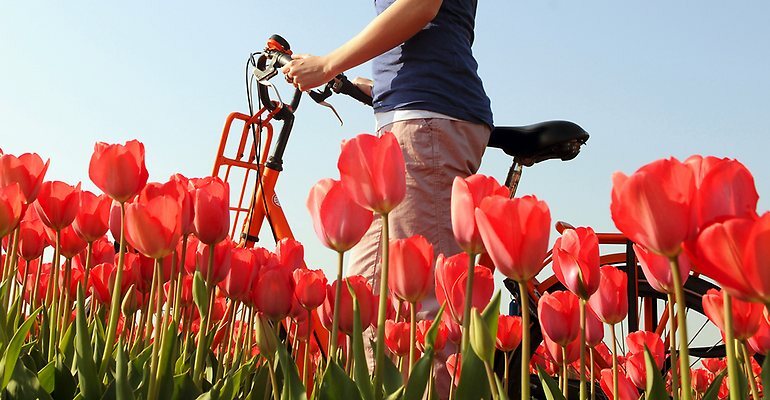 Ride a bicycle for 1 or 2 hours through the colorful tulip fields. The 3rd Saturday in April is the day of the Flower Parade. All day, 40 kilometers / 25 miles, with 20 decorated floats. Every year there is a different theme. Contact us to see the parade or the building of the floats. 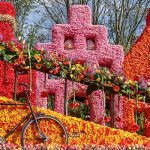 Witness the beauty of Holland’s tulip fields in full bloom on a Springtime 2018 tour to Keukenhof Gardens. 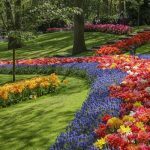 This private Keukenhof tour starts in Amsterdam with your private guide. 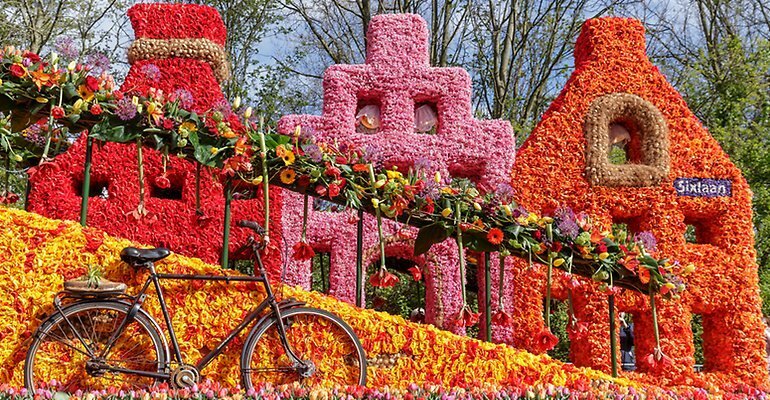 Travel through the Dutch countryside dotted with windmills, green pastures and spectacular rows of colorful tulips. 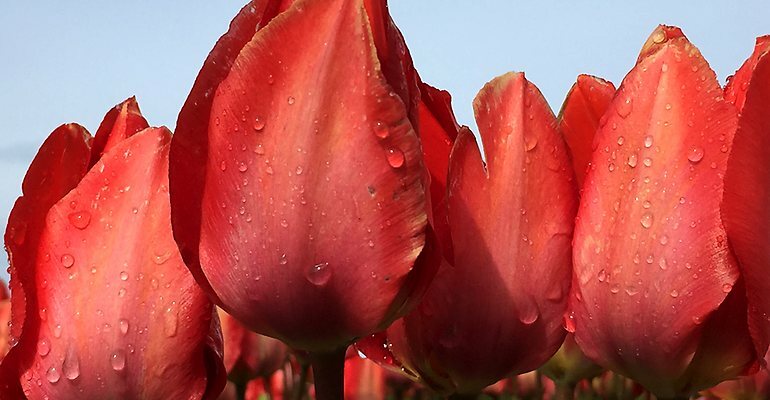 Walk 2,5-hours leisurely exploring Keukenhof tulip gardens — one of the largest floral gardens in the world. 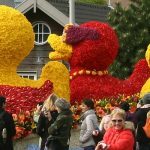 Besides this highlight you can add an extra stop, of your choice, to customize this private Keukenhof Garden Tour. 3-hours time to visit the Keukenhof Gardens. 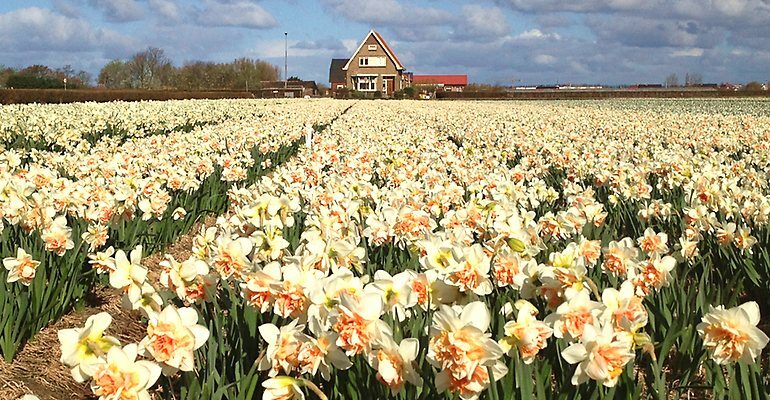 Picture stops at colorful and fragrant flower fields. Dairy farm visit. Cheese & wooden shoes. Family run Delft Blue pottery. Windmills in typical Dutch countryside. 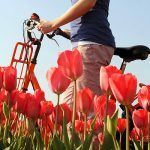 Bicycle ride through tulip fields. 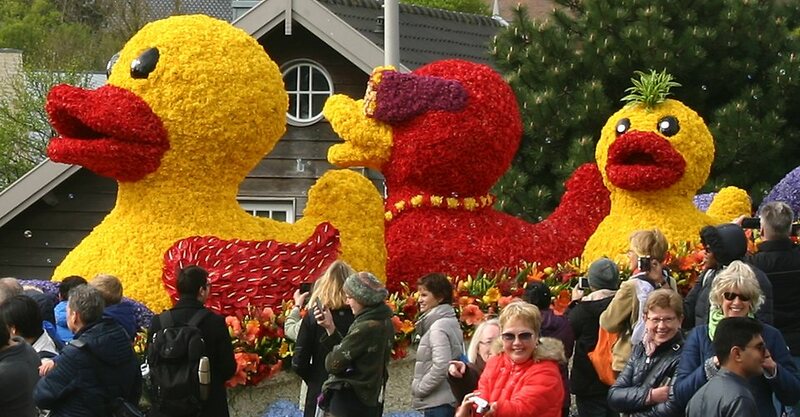 Add your skip-the-line Keukenhof ticket at booking! 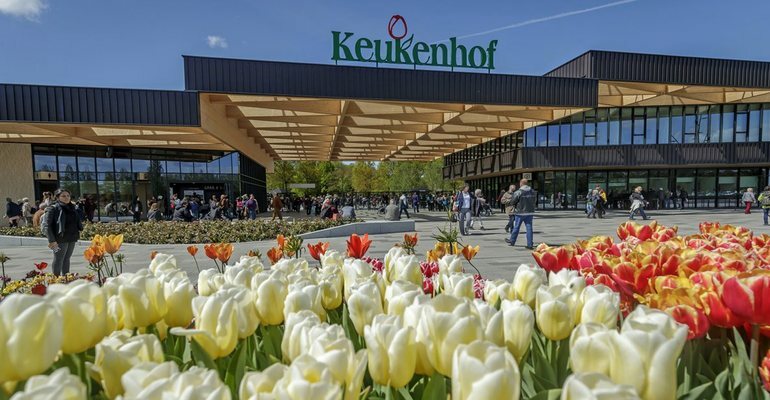 Keukenhof is open from 21nd March to 19th May 2019. Tulips only bloom in spring time. There are no tours outside these dates. 3Tell us the number of people in your party. 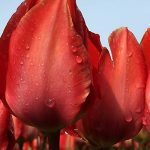 4Select how many Keukenhof tickets you like to add. 7A full or 20% Deposit payment confirmes our services. 8Within a few minutes you receive confirmation by email. 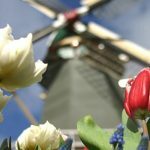 In April we had a wonderful day trip to the windmills and Keukenhof. Unluckily I had a problem with my ankle. Stefka’s kind and extremely professional support, turned a potential disaster into a really good day. Our teens, my husband and I were very impressed and we will certainly be back! 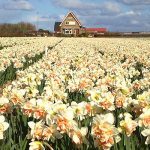 In April we toured De Keukenhof and amazing tulip fields. We had a wonderful time! Caspar is very professional, punctual, knowledgeable, accommodating and… FUN! I would definitely recommend his services to anyone visiting The Netherlands! Great way to see more of the Netherlands than just Amsterdam. Sanne was knowledgible, fun and flexible. We chose to go to the Kuekenhof Gardens on the busiest day of the year, so she got us out there early to avoid the crowds and it worked; we weren't overwhelmed. She knew the best places to see the tulip fields and get great photos. We also enjoyed a flower parade among all the local people. We were happy we took the all day tour with Sanne. Stefka put together a tour that encompassed all that I asked to see. We walked by windmills, visited a farmers market in Gouda, we had lunch at Scheveningen and found the grave of my grandmother in a cemetery that I had not been to since 1994! Truly a memorable day and Stefka was a professional and knowledgeable guide. I know so much more about Dutch history and the Netherlands. A wonderful day! Caspar is the best! I highly recommend this tour, since you can customize it to your individual desired attractions. Cheese & Clog Farm. Delft pottery factory. And the world famous Keukenhof Garden. A must see, that did not disappoint! Caspar was attentive, knowledgable, and very much fun to travel with! He kept us on our timeline, which can be difficult with four women in gift shops! !